If you were visiting Melbourne and staying in a city hotel, would you also choose to eat in it? Most people don’t or, if they do, they get a cheeseburger sent to the room. The “capture rate” for most hotel restaurants (the proportion of in-house guests filling their bellies on premises) is under 20 per cent. In Melbourne, that makes perfect sense: any stumble on a city street is likely to see you fall into a cool restaurant. Pretty Boy is thus wading into tricky territory, not only hoping to be a compelling offering for temporary residents of the Novotel and IBIS hotels upstairs, but also to attract locals who probably don’t look for opportunities to hang out at CBD hotels. So, how is it? On the critical matters of food and service, this is a good restaurant. On the important matter of atmosphere, Pretty Boy doesn’t nail it. 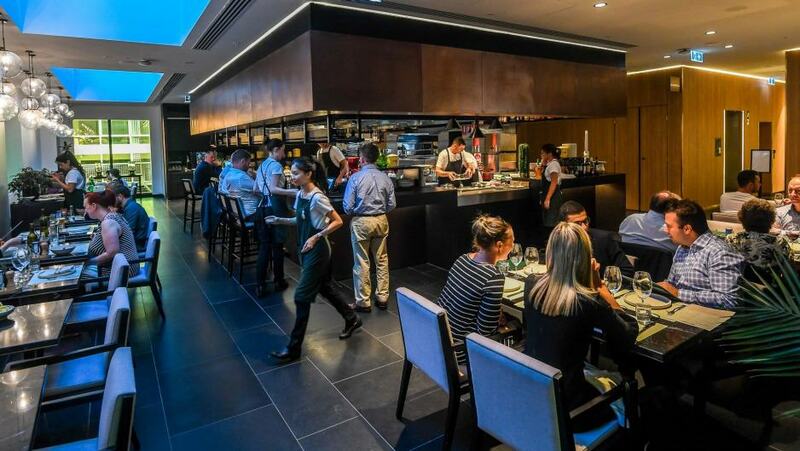 It’s not just that the lighting is chilly and the banquettes are too far from the tables, it’s that there’s a sterility to the room that makes it feel like fine dining ambition was an afterthought, not part of the vision from the outset. In short, I had a good meal, but it’s hard to imagine Pretty Boy fighting to top of mind next time I wonder where to eat in the city. It’s a shame because there’s a lot to like. Chef Michael Smith brings varied experience to the central open kitchen: if you eat here as a single or couple, grab a spot at the counter. 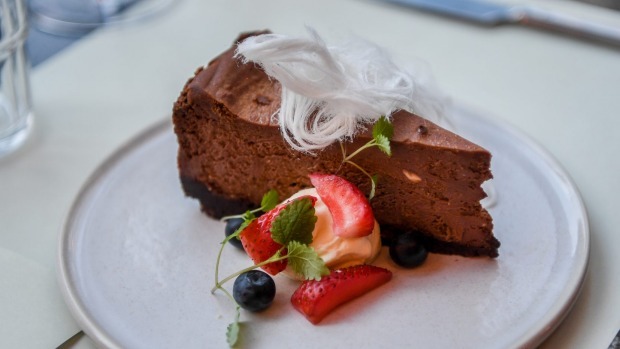 Smith has been head chef at Jacques Reymond, Tonka and Mamasita and ran his own place, Jorg, in North Fitzroy – he knows his stuff. The menu is an easy-please array of antipasto, pasta and steak, nominally Italian but don’t look for nonna. The service, though stretched on our visit, was good and I’m not just saying that because our waiter told us she loved reading Russian poetry – in Russian, no less. 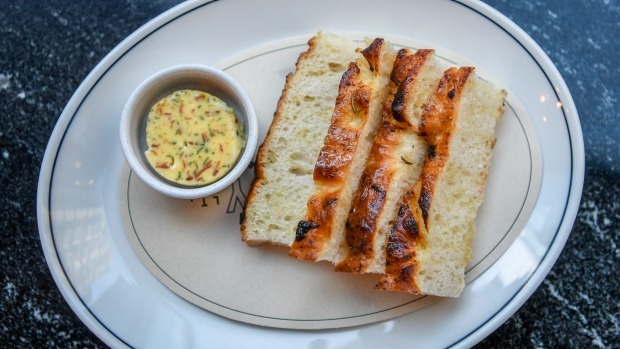 Bread is not complimentary but I’m happy to be complimentary about it anyway: airy slices of focaccia come with exceptional prosciutto butter, made from the un-sliceable last bit of the haunch. Nice idea! Leftover bread is turned into crackers to serve with charcuterie. Cured kingfish is dressed with the no-fail combination of orange, fennel and chilli but I lucked onto a superb special of tuna with puffed pork crackling. 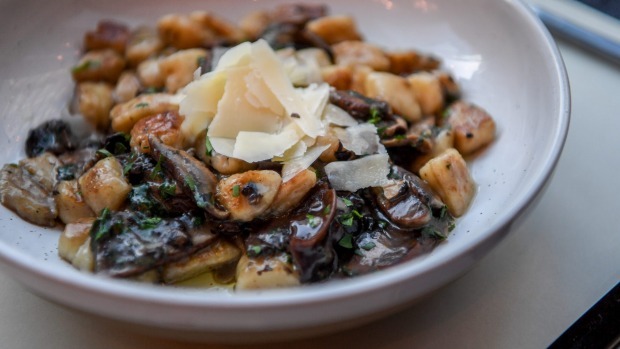 Potato gnocchi – petite and pan-fried – are delicious, served with mixed mushrooms and (unnecessary) truffle oil. Grilled grass-fed steak comes with a choice of condiments; the sauces are properly made but seasoning was awry. Desserts ply New York-Italian lines and are unremittingly dairy: both the choc-malt and coffee-vanilla cheesecakes balance sweet with nicely judged hints of bitterness. There are actually three venues here. 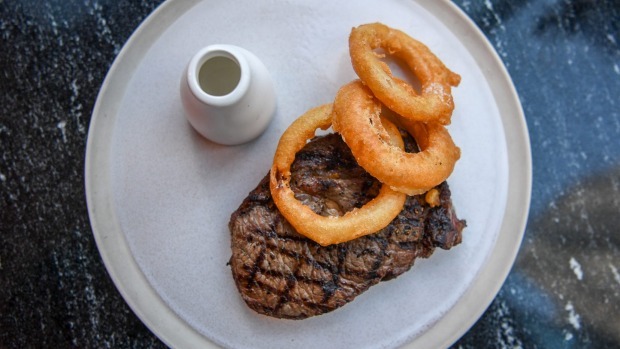 One floor up from the main restaurant is Floyd’s, a bar with an alluring cheese and charcuterie cabinet but as much atmosphere as a Tigerair terminal. The ground-floor canteen, Goldie’s, is the place I’d return for snackable bao (the crispy eggplant is ace), toasties with fillings such as char siu pork and Peking duck and – genius – alcoholic bubble teas. It’s right on Little Lonsdale Street so you could eat here and not realise you are in a hotel restaurant. In this case, that’s for the better. First published in Good Food, 8th March 2019.